An established art world name has popped up again on the radar, and is undergoing something of a renaissance. 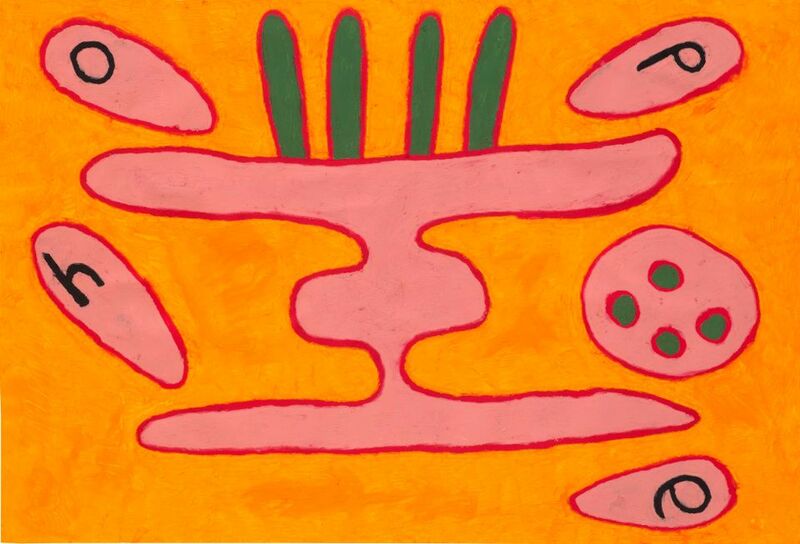 Sydney-born Nicholas Pope represented Great Britain at the Venice Biennale in 1980 but shortly afterwards contracted encephalitis, an acute inflammation of the brain, while working in Tanzania. His vibrant installations now fill The Sunday Painter gallery in London (until 10 November), including the sprawling piece The Conundrum of the Chalices of the Seven Deadly Sins and Seven Virtues, which incorporates a raft of glass chalices and drawings representing the seven deadly sins (notably, a work in progress for 20 years). Look out also for a new work, Sofa of the Seven Deadly Sins and Coffee Table of Virtue. “[The] works continue Pope’s career-long fascination with systems of belief, a preoccupation which has become particularly apt in the current political climate, where ‘expertise' is increasingly mistrusted and beliefs are frequently considered more powerful than rationale,” a gallery statement says (making his practice particularly potent in these Trumpian times). Pope, incidentally, is also a top-notch knitter, having created exquisite crocheted pieces such as the Mr and Mrs Pope series.